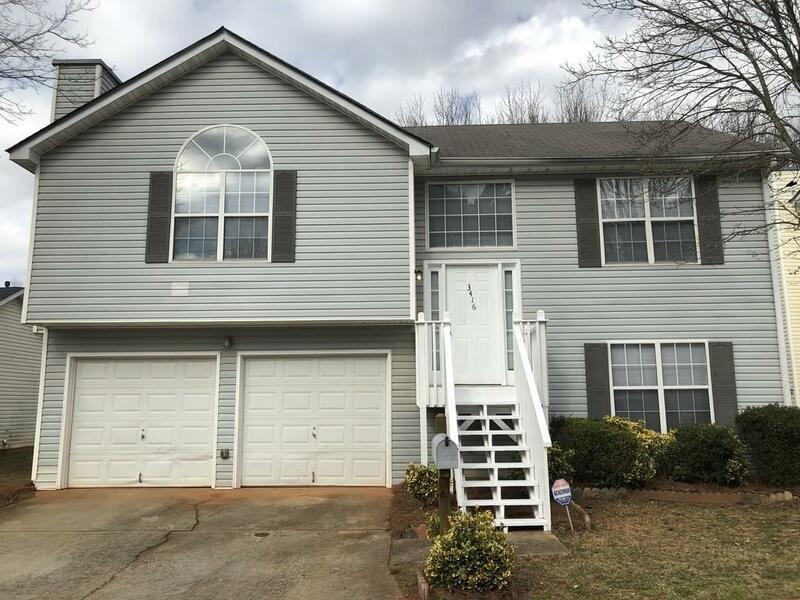 Immaculate split foyer home in move-in ready condition. Perfect for first time buyers! Large great room with fireplace, kitchen (bring your own fridge), dining, and master suite with large closet all on main level. 2 bedrooms and full bath on lower level. Close location to all major expressways for an easy commute. No HOA! Directions: From North Go I285 E. To Flat Shoals Pkwy Exit, Left (East) Onto Flat Shoals Pkwy, Right On Waldrop Road, Left Into Waldrop Hills Subdivision Onto Waldrop Hills Drive, Left On Waldrop Creek Trail To Home Left.